Shirley Mae Ruffin was born on September 9, 1945 to the union of Winston Balden and Willie Mae Smith in Crawell, Alabama. She received her formal education at Choctow County Training School in Lisman, Alabama. Shirley accepted Christ as her Savior at an early age. She was united with Shady Grove Baptist Church. When Shirley came to Milwaukee, she joined in fellowship with Friendship Church, soon after St. James Baptist Church, and then Rock of Ages Church. She was united in holy matrimony with Joseph Ruffin on March 27, 1965. Their union was blessed with four children. Shirley was employed by Valley View Retirement Home as a housekeeper until her retirement. In her leisure, she enjoyed traveling with her husband, going to church and movies. Shirley Mae Ruffin departed this life on September 12, 2018. She was preceded in death by: daughter, Juanita; son, William; father, Winston Bolden; and mother, Willie Mae Smith. 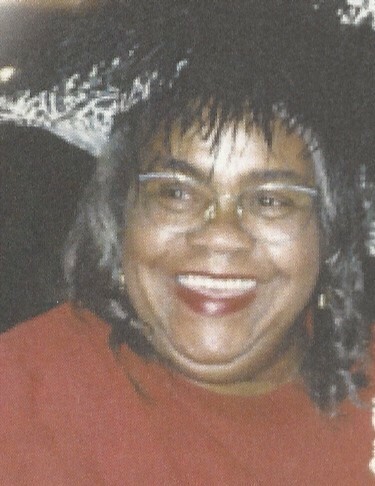 She leaves to cherish her memory: husband, Joseph; sons, Michael Ruffin and Joshua Ruffin both of Milwaukee, WI; sisters, Gertrude Turner of Milwaukee, WI and Jettie Robertson of Picayune, MS and Mary Smith of Birmingham, AL; brothers, Buster Smith and Willie Wade (Ernestine), Cornelius Smith, and Edward Wade of Chattanooga, TN.